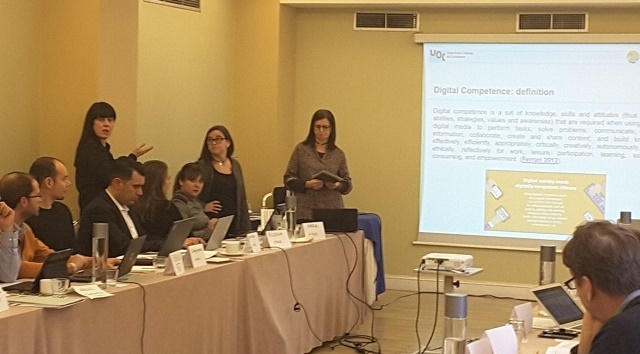 On 26th and 27th of January, the partners of the European project Demonstration of a scalable and cost effective cloud-based digital learning infrastructure through the Certification of digital competences in primary and secondary schools (CRISS) will meet in Athens to celebrate the kick-off meeting of the project, which will end on December 31, 2019. The project is coordinated by the British organization EXUS Software LTD and involves 15 different partners from 9 countries, including the Edul@b research group of the UOC. The meeting will be attended by 40 researchers, and of Edul@b group will attend the meeting the teachers and researchers: Lourdes Guàrdia, Teresa Romeu, Marcelo Maina and Montse Guitert.